3Gstore.com Blog: Cradlepoint supports Sierra Wireless Compass 597 USB EVDO modem before it launches! Cradlepoint supports Sierra Wireless Compass 597 USB EVDO modem before it launches! 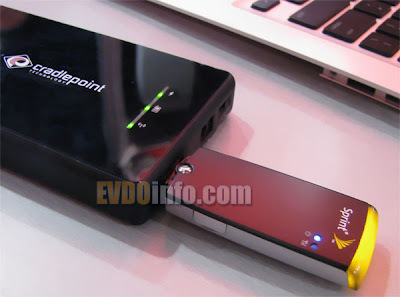 The new Sierra Wireless Compass 597 USB EVDO modem hasn't even launched on the Sprint MobileBroadband EVDO network yet, but because of Sierra Wireless' recent buyout of Cradlepoint, all three Cradlepoint routers (CTR350, PHS300 and MBR1000) will officially support the Compass 597 when it finally does launch. This marks the first time that any cellular router has officially supported an EVDO device BEFORE the device was launched by a carrier! Congratulations to Sierra Wireless and Cradlepoint Technologies for a first ever collaboration. Compass 597 USB EVDO modem: Now Shipping!